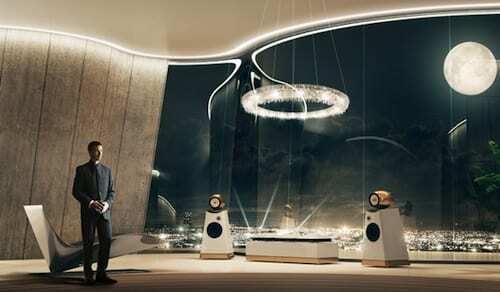 You don’t need to an audiophile to appreciate the finesse of the “Presence” Audio System. The Hungarian Bodor Audio unveiled it first at the London Design Festival and as expected the system grabbed eyeballs from the get go. With the “Presence” system, designer Ágnes Simonfalvi has managed to resurrect the hackneyed audio player and elevated it to an objet d’ art. The high-end sound system consists of a CD player, an integrated amplifier and speakers and illustrates how creativity can influence all crevices of design. The “Presence” Audio System is nothing short of a sculptural archetype and its modern design sensibility will make it appealing to a larger demographic.